Today Ponder ‘N’ Wonder turns One! It feels like yesterday when I opened this tiny slice on the internet with absolutely zero clue on blogging. I definitely read tons of articles titled ‘Blogging for Dummies‘ and still continue to read them. The funny thing is that it took me the most time (almost a fortnight) to create a name that said ME. When I think back on those several proposed names, I now know why they didn’t click (Spoiler Alert: They sounded so lame). During a 1 20 am pre-Monday emergency laundry session to my basement was when Ponder ‘N’ Wonder was born (for real!). And that’s when I knew, she was mine! During the past one year, I have learnt a ton from some fantastic bloggers and readers (aka YOU! ), built bonds with some beautiful humans, gotten to know what makes people special and no matter how mature we all seem, we all are simple strong humans trying to find our ways and means in this lovely journey of life. Doing things that I love (writing) has most certainly freed up some space in my heart to love all that I do! Now, let’s get down to why you really hopped over here. It’s Giveaway Time! First anniversaries are special and I believe in celebrating all the little joys in life. My baby blog wouldn’t exist without my readers. On this special occasion, I have not one, but TWO gifts of love for you. Nuun is a hydration product packed with electrolytes and clean ingredients. Their four major products Nuun Active, Nuun Energy, Plus for Nuun and Nuun Vitamins, cater to the needs of everyone alike. Let’s not forget to mention that these products come in a range of yummy flavors. My favorite ones are Lemony Lime, Grape, Ginger Lemonade and Blueberry Pomegranate. You can check out their website and also follow them on Instagram and Twitter for more info. Word on the block is that they have a new product coming out soon. Stay tuned! And you thought I had enough Nuun products? Momentum Jewelry creates athletic jewelry, that are stylish as well as inspirational. You guessed right! The inspiration behind this line of jewelry was during one of those challenging workout sessions, when Amy (the founder) was looking around for something to distract her mind and motivate her. That’s how their several products ranging from motivate wraps, foot notes, sparklets, necklaces and many more were born. You can check them out on their website, and also follow them on Instagram and Twitter to find out more. Had this cute motivate wrap on my wrist every single day during my first half-marathon training and race day. The giveaway has begun and will end on 15 April, 2017 at 12:01 AM. It is open only to US residents. You can enter the giveaway by filling up the Rafflecopter form below. Two winners shall be notified by email once the giveaway ends. Will you be one of my two lucky winners? 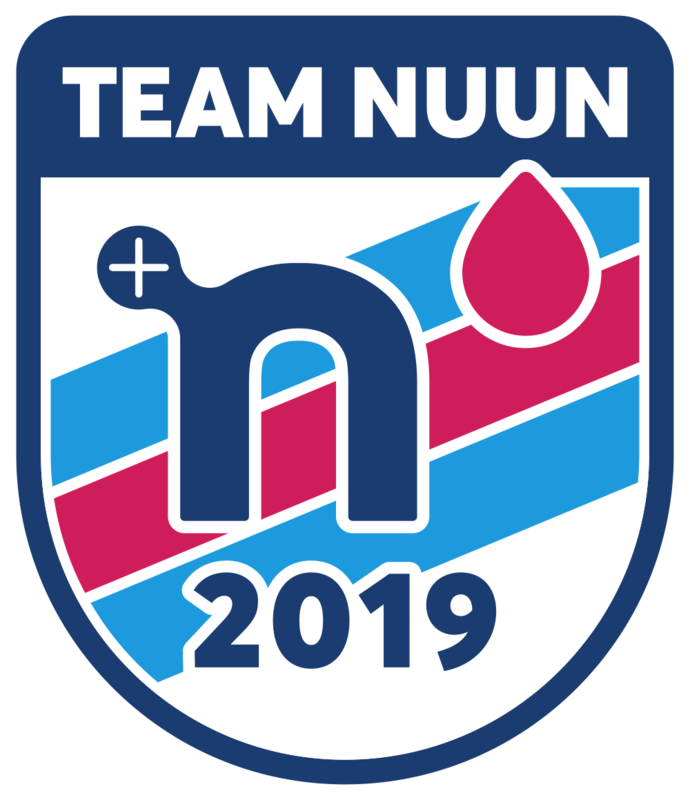 (1) I am a Nuun Ambassador 2017 and receive a discount on their products. The ‘Nuun Hydration Kit’ was sponsored by Nuun and contains a mixed collection of flavors and other accessories. The kit will be mailed to the winner by me. (2) Momentum Jewelry sponsored the motivate wrap (or) footnote of your selection and the winner will be mailed by them directly. I hold no affiliations with Momentum Jewelry to disclose. (3) Any product on this post and my blog has been personally used by me and no compensation was received for sharing my thoughts. You can read more on my disclaimer. Thanks for being a reader of this baby blog! Happy blogiversary! I think one of the top pieces of advice about blogging I have is to be honest! Happy First Blogiversary! You will be surprised at how quickly the next year will go by and then you will be at #2! My advice is keep sharing and make it your brand. Congrats on one year! Thanks Sadie for the advice. Good luck on the giveaway! The best Blogging advice that I have is to always blog about what you love. Your readers will always be loyal and love reading your posts if we always feel the honesty and passion in your writing! Congratulations on your first blogiversary!! My best blog advice I’ve taken to heart over the years is to keep blogging for YOU… trying new things and taking specific advice from others on what a blog should be is a-okay, as long as it’s something that still feels like YOU and what you want to do with your blog. Awesome giveaway and congrats on your blogiversary! The only advice I have is to be authentic, and you are, so you’re doing just fine! Happy blogiversary! I’m not a blogger but one thing I really appreciate as a blog reader is when the blogger takes the time to respond to the comments other people leave. I feel like it builds a relationship and makes me want to read more of their blog posts. I’ve seen some bloggers with 35k followers who just don’t take the time. I don’t even bother to comment on their stuff anymore because what’s the point if it falls on deaf ears. Happy blogiversary!!!! Very envious of you and the all the bloggers out there! Thanks Lisa. You should join the blogosphere if it interests you. Nice learning experience. Good luck on the giveaway! Happy blogiversary! Its such a great milestone to celebrate! My one piece of advice is to blog because you want to, not because you’re writing for somebody else. And with that said I’ll echo what others have said, be true to yourself. Thanks Kathryn. That’s really good advice. Good luck on the giveaway. Congrats on the one year anniversary. Now that you have it down best of luck in your blogging future. Happy blogiversary! I think one of the top pieces of advice about blogging I have is to stick with your true self/voice and believe it matters. Thanks Jen for the advice. Good luck on the giveaway! I am not a blogger so can’t give you advice in that realm! But, from a reader’s perspective, I always enjoy posts with real-life pictures. Congrats on a year and keep up the great work. Thanks Chaitali. Yes, that’s always hard with a full time job. I am trying to get better at it. Congrats on your one year anniversary. I love momentum wraps. I hope I win. Only advice I have is be honest and true to yourself. Thanks Darlene. They are my favorite too. Hope you win!